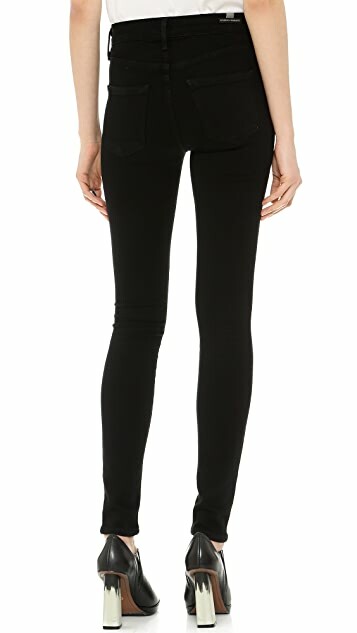 High-waisted Citzens of Humanity skinny jeans with a fade-free wash. 5-pocket styling. Single-button closure and zip fly. I love the rocket jeans! This is the 3rd pair I've purchased and none have disappointed. The denim is thin and super stretchy. The high waist is super flattering! They are true to size I took my normal 29.
my roomie recommend this brand to me. it is so comfortable and suit my body. i love this jeans. I bought these in a size 26 and after wearing them once they stretched severely, they are comfy but are not true to size. I am usually a size 27, I spent $200 and now can't even return them! 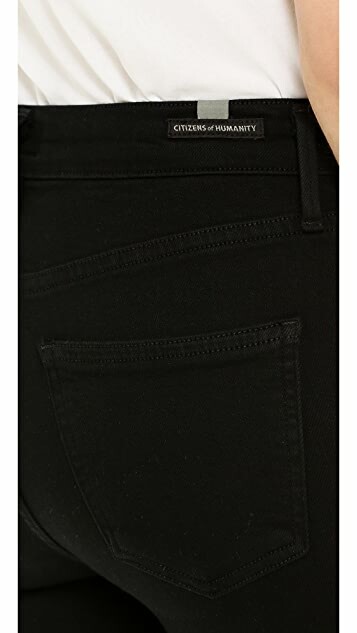 These jeans are amazing, i love the high waist look and it has a very slimming effect. I was looking for a pair of staple black high waist jeans and was tossing up between these or the Hudson Barbara. I am so glad i chose these instead. The fit is true to size - i am a 26 in normal jeans but can toggle between 25 and 26 for C/E jeans. i got these in a 26. The material is so soft and comfortable. Although i have to get it hemmed as i am only 5'4. Pants are great, fits true to size .. Love how it's high waisted of course! It's a bit long for me "i'm 5"6" so I need to get them hemmed. 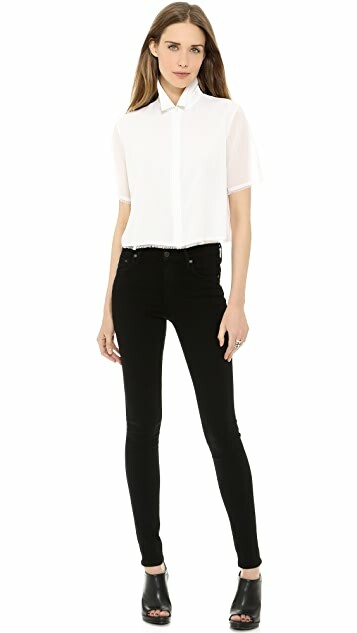 These jeans are so flattering yet comfortable. Instantly my new favorite jeans. 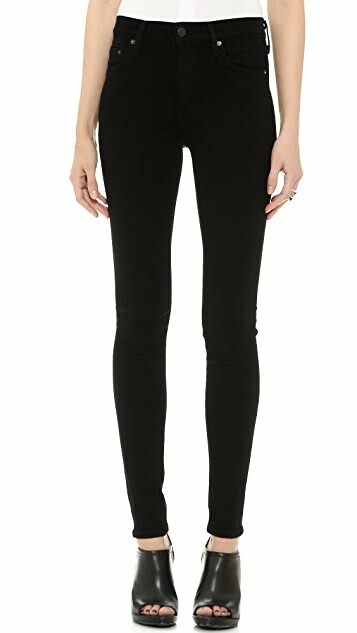 i thought these would be the perfect black jeans, but sadly i was wrong. i sized down 1 whole size and they were still big and gapping at the waist after a few hours of wear. also started ripping at the inner thigh within like a week of wearing them. beautiful, super black. Vivid black. Very stretchy jeans. Great skin! I am happy.